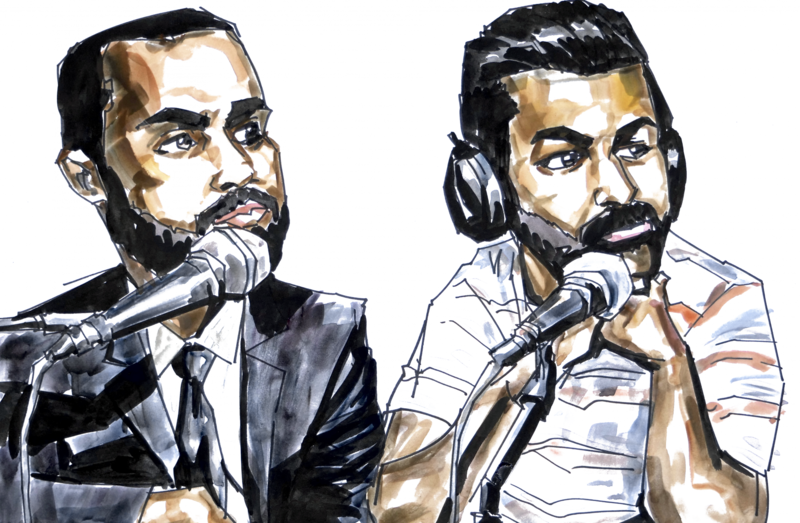 In the 4th episode of Aider & Abettor, Sajid and Avi start with the “Opening Statement” where they discuss recent mass ICE raids across our country, particularly the arrest of a woman at an El Paso County Courthouse as she sought a restraining order against her alleged domestic abuser and how it will impact our criminal justice system and victims rights (0:30). They break down the detention of Daniel Ramirez Medina, a Deferred Action for Childhood Arrival (DACA) recipient, commonly referred to as a “Dreamer,” the legal effort to get him out and his alleged gang affiliations (08:30). In the “Deep Dive” segment, they talk about the arrest of Lauren Kirk-Coehlo for an alleged vandalism of a mosque in Davis, California (18:19). They dive into the layers of this arrest and incident including the Muslim community’s reaction to the alleged hate crime, the $1 million bail amount, Lauren’s reported social media glorification of violent behavior, the media’s use of her yearbook picture rather than a mugshot, whether we’d represent her and what her punishment should look like. Sajid and Avi finish up with their “Thing(s)” of the week (44:50). Sajid shares Defy Ventures, a program designed to channel the talents of the currently and formerly incarcerated in our community into entrepreneurship. Avi recounts the beautiful words of Davis Mayor Robb Davis on shame and then laments about the Sacramento Kings and their owner Vivek Ranadive’s trade of Demarcus “Boogie” Cousins. Previous PostPrevious Episode 3: Sports! Gorsuch! Judicial Independence!